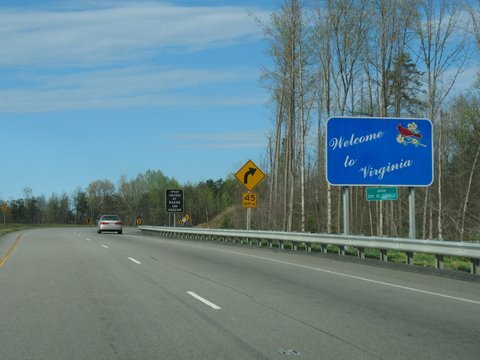 Heading into Virginia on the original alignment of US 29 which was here from 1932-57. Photo by Mapmikey, taken July 22, 2006. The reverse view, looking into North Carolina. Photo by Mapmikey, taken July 22, 2006. 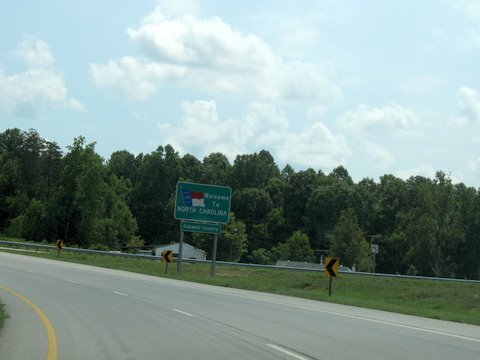 Heading into North Carolina on what is now US 29 Business. 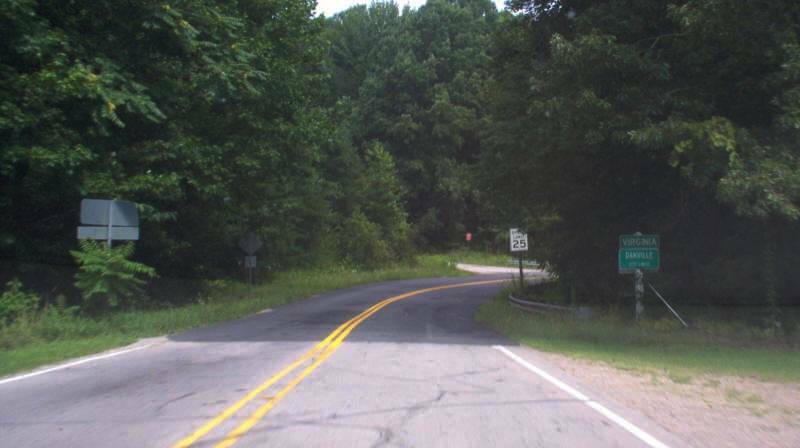 US 29 crossed into NC here from 1957-2005. Photo by Mapmikey, taken July 22, 2006. The reverse view, looking into Virginia. Photo by Mapmikey, taken July 22, 2006. In the middle of the Francis Scott Key Bridge, looking D.C.-bound. Photo by Adam Froehlig, taken November 10, 2002. 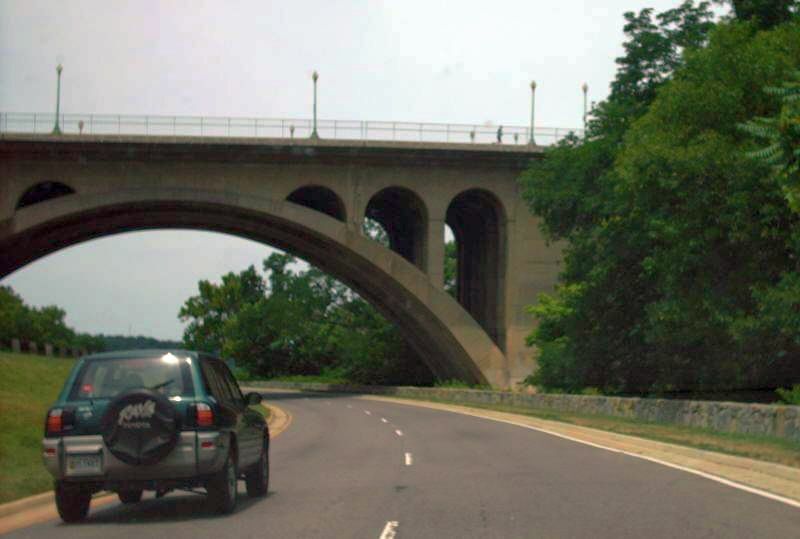 From the southbound George Washington Parkway. US 29 crosses the bridge ahead. 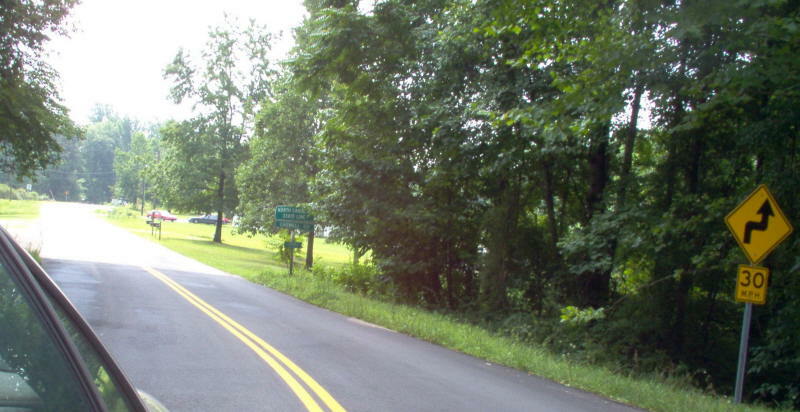 THe line separating Virginia from DC is on the Virginia shoreline of the Potomac River, roughly where the taller tree to the left is. 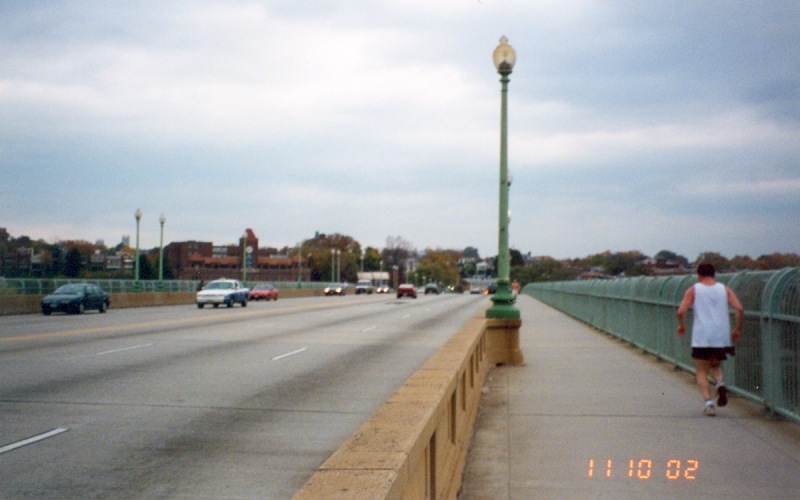 Bridge, looking D.C.-bound. Photo by Mapmikey, taken July 10, 2007. 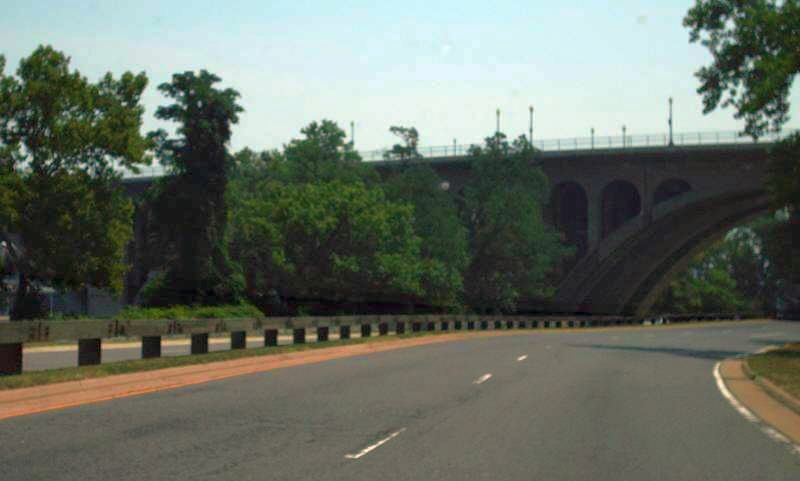 From the northbound George Washington Parkway. Photo by Mapmikey, taken June 23, 2007. 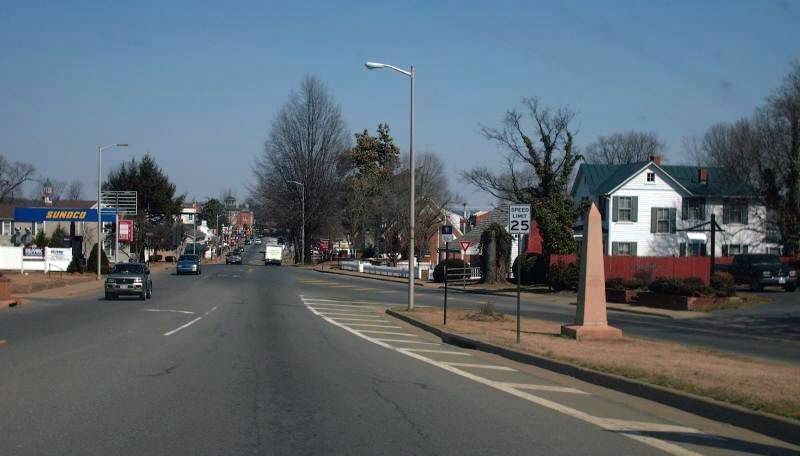 This is where US 29 ended in Culpeper, VA in 1932-33. This is US 15 Bus, US 29 Bus, US 522 SB. 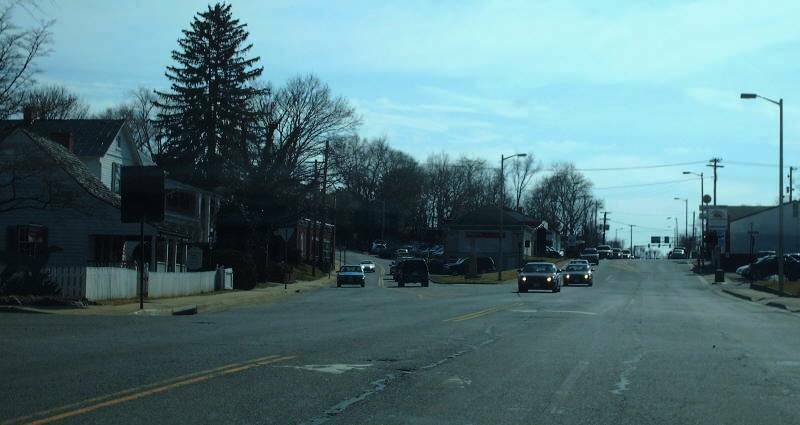 US 29 began straight ahead while US 15 veered left on what is now just Orange Rd. Photo by Mapmikey, taken March 9, 2007. The reverse view, with US 29 coming to an end. Photo by Mapmikey, taken March 9, 2007.